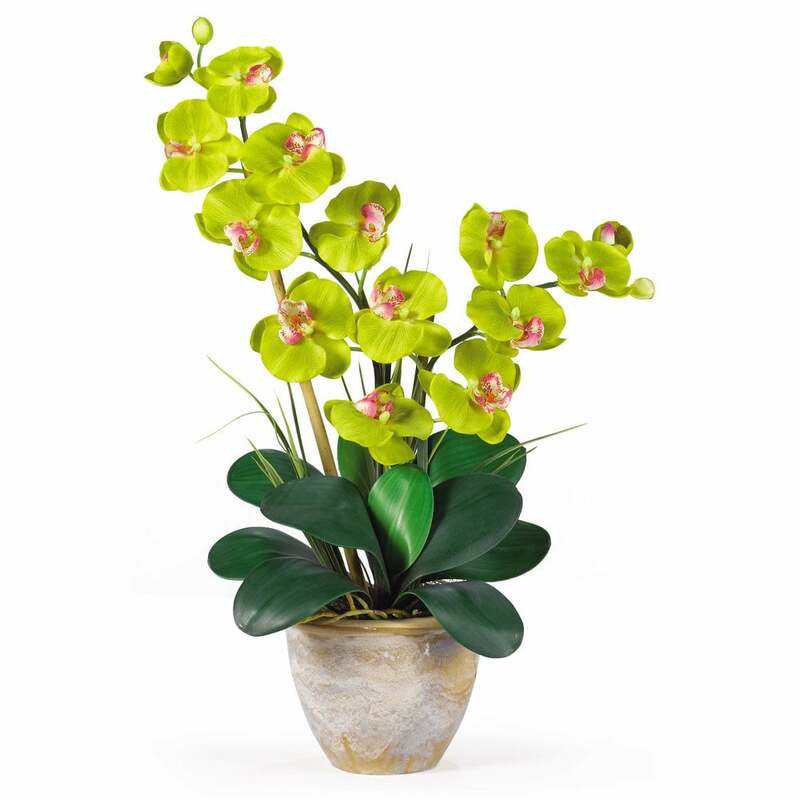 This 25 inch double stem Phalaenopsis silk orchid plant is nothing short of an explosion of color. Expertly arranged, this piece was designed to enhance any space. Each plant comes stacked with two amazing Phalaenopsis stems each with 6 flowers and 2 buds. Finished with a gorgeous glazed ceramic vase this item is not to be missed. So whether you're looking for a gift or just want to perfect your decor...you're only one click away.